A second-hand vertical auger feeder could be a good option for those looking to step onto the diet feeder ladder. 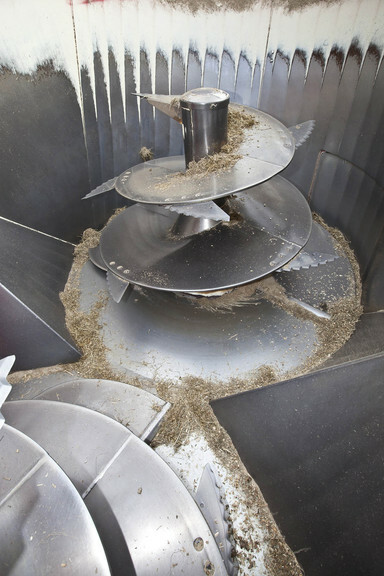 Siloking vertical auger diet feeders have been sold in the UK by Kverneland since 2006. Built by the Mayer Maschinenbaugesellschaft company in Germany, the Siloking range has a reputation for being as tough as old boots, and with underpinnings that are mechanically straightforward and robust. 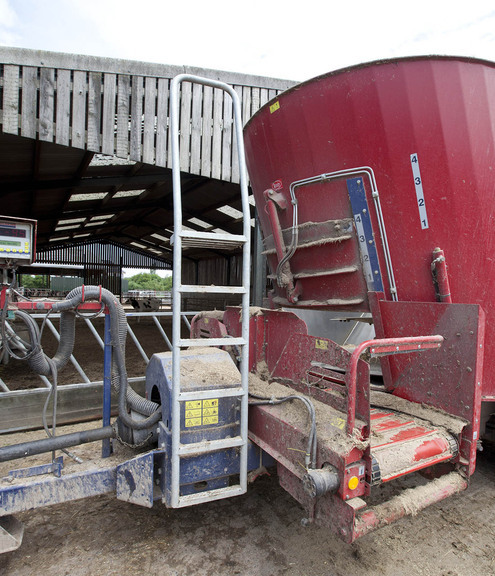 Good job then, as few machines will be relied upon quite like a diet feeder, and a used Siloking could represent a cost effective way of taking those first steps into mixed ration feeding. Essentially a heavy-duty steel tub on a chassis, the Classic, Duo and Premium models offer a range of body capacities from 8-45 cubic metres. And depending on the size, you will find single, twin and triple auger versions. Siloking offers self-propelled models too. Early versions use a tricycle chassis design, with rear-wheel steering allowing a low overall height for the mixing tub. Little changed across the trailed range until 2009, when the firm introduced the Twin Lift conveyor system. This sliding belt conveyor is one that can be raised, making it easier to discharge rations into feed troughs. “Being at the front of the feeder, it simplifies feeding, while increasing versatility,” he says. In 2012, the New Generation Duo models arrived, with a wider ladder-frame chassis carrying a conical hopper design to improve material flow and shorten mixing times. In addition, the inner, top circumference of the hopper gets the firm’s Flow Plus ring of steel for better retention of bales, and all models can be equipped with SWT - Siloking Wireless Transfer – a handheld display terminal that shares information stored on the feeder’s main electronic control box. Other changes include a new gearbox design for each auger, comprising a four-pinion design to give greater durability and higher load capability. New Generation Duo models get a revised oil tank location too, offering better protection. The bespoke nature of new diet feeders means specification of used kit will vary wildly. This 26-cubic metre Duo example has been fitted with a host of extras, including twin lift front cross conveyor, hydraulic rear door and Pro II on-board weighing system. The hydraulic rear door is powered by a tractor spool, and is good insurance if your only other outlet is the conveyor. It will at least enable you to unload the tub, if the conveyor sustains any damage. 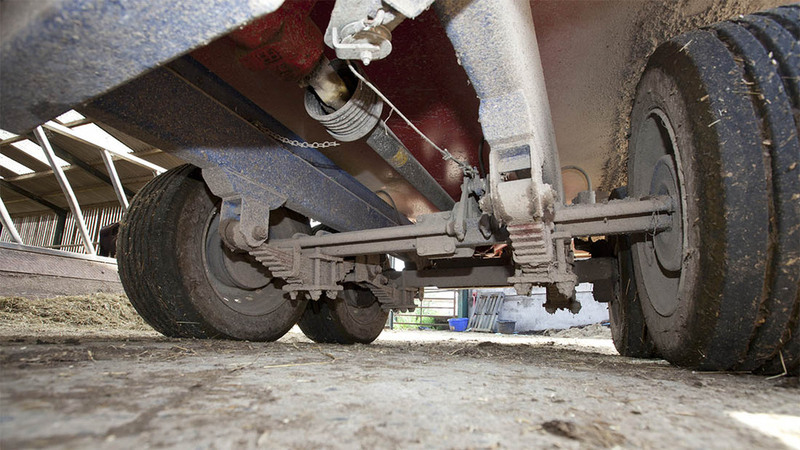 Twin axle feeders can often use a following axle that needs to be locked hydraulically when reversing. This makes a larger machine as manoeuvrable as a small one – useful in tight yards. Tough underpinnings include hydraulic brakes and parabolic leaf springs – the latter need to be checked, as just like trucks, metal springs can break. While underneath, it is worth looking at gearboxes for oil leaks, and drive shafts for evidence of greasing. Each gearbox has its own remote-mounted oil reservoir on the side of the body, which makes it easier to inspect oil levels and top-up if needed. Unlike tractors, you won’t find an hour meter or load counter, so you’ll need to buy on condition alone. And that could have a big impact on price. Expect a machine of this size, age and condition to fetch about £15,000. Get up the mixer’s ladder and inspect the inside of the tub. While the knives do wear, there is only eight on each auger. “Full-sized, sharp blades will mix quickly and efficiently, and help to maintain tractor fuel efficiency,” says Dan Crowe. There are several mounting holes for each blade, which varies the chopping action to suit different ingredients. There are hydraulically adjustable counter knives on the body too, which can boost the chopping and mixing action. Knives at the top of the auger get reinforced mounting plates, to stop them bending as bales are dropped in. Look for optional tub magnets, which are used to catch and retain any metallic materials that may have found their way into forage. A Hardox repair kit is available for the augers, though rarely sold. Check for a dummy paddle at the bottom of the auger - opposite the main flight. This provides balance and helps to keep material on the move. It also helps with emptying. 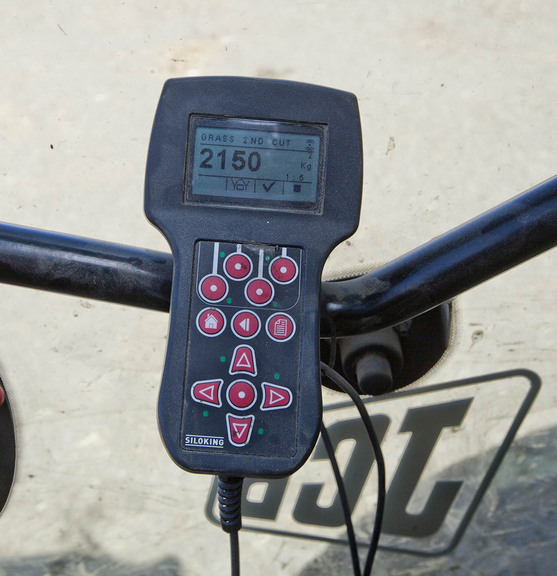 Siloking’s in-cab controller uses thumb buttons to control machine functions. Depending on specification and options fitted, some of the buttons will not be used. There are four weigh cells separating the body form the chassis. And they can be checked by switching on the Pro II on-board weigh scale, as fitted to this earlier model. Multiple rations can be stored and the scale uses a screen to illustrate ingredient type and weight. Driveline protection comes from a shearbolt located before the primary two-speed gearbox. Pull the shaft apart – it is a good place to look for signs of regular maintenance, as the two pieces should slide effortlessly if regularly greased.